Radha opened her store in 2006. Rani Jewellers is a family business with locations in Brampton, Malton, Gerrard India Bazaar and Kapurthala, Punjab/India. Radha moved to Toronto from India in 1994. She appreciates the multi-cultural aspects of Gerrard India Bazaar. 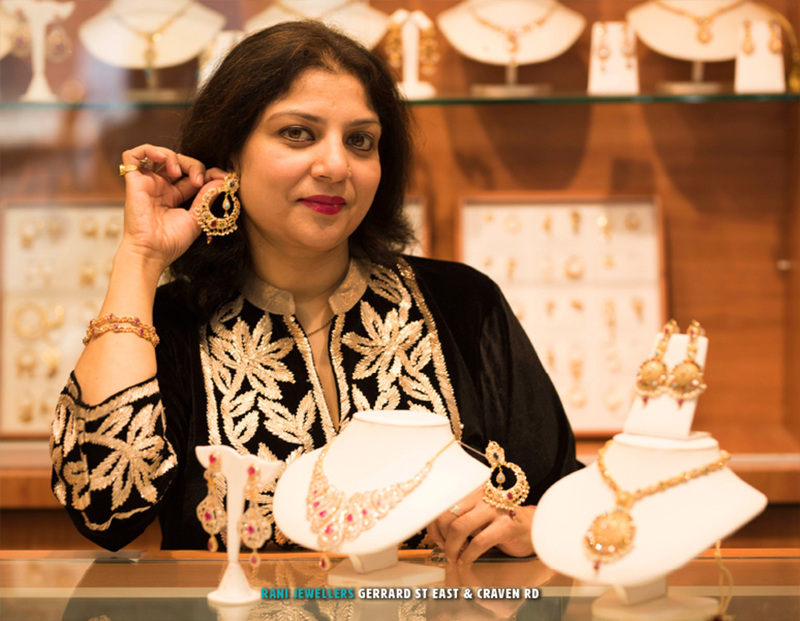 Her store specializes in South Indian jewelry with 22 karat gold bridal sets and she also carries multi-coloured stone sets from Pakistan as well as two tone jewelry (916 purity) from Dubai.